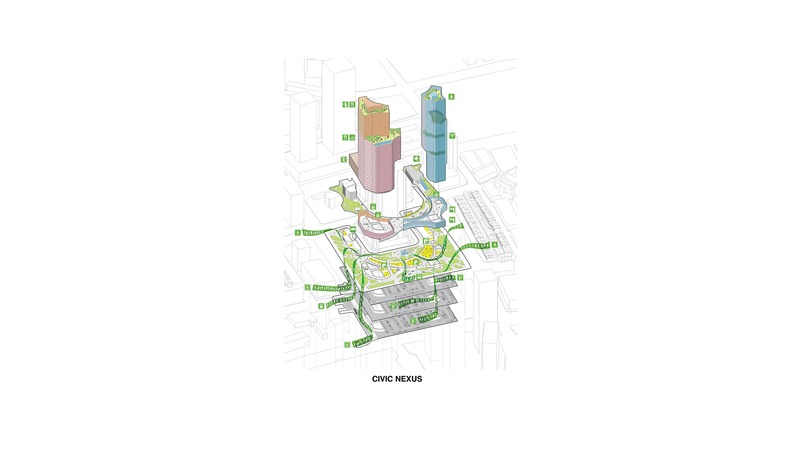 Two Towers – sculpted to generate spaces with the surrounding context – create a civic nucleus symbiotically inscribed within the city. 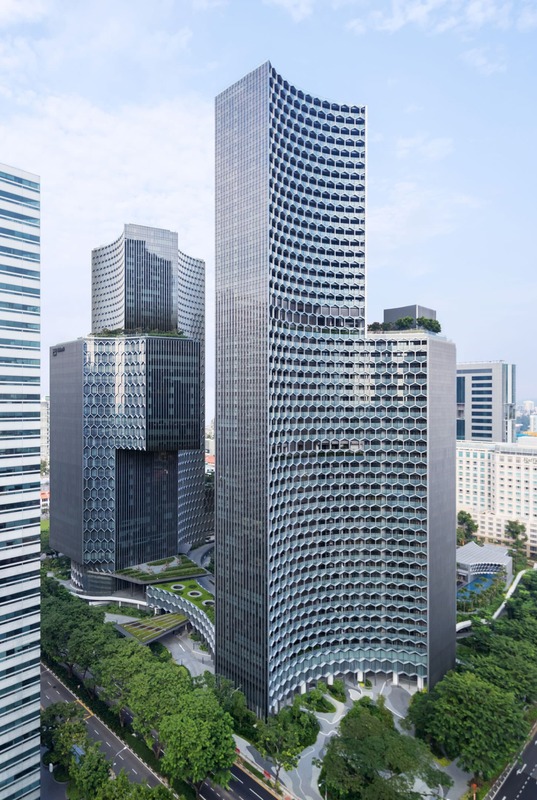 Singapore consistently ranks as one of Asia’s most livable cities. 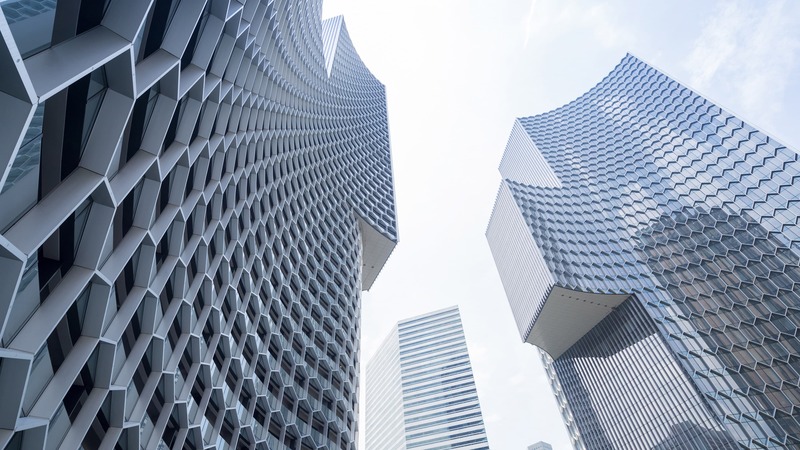 However, it is increasingly dominated by isolated individual towers that favor exclusion over social connectivity. 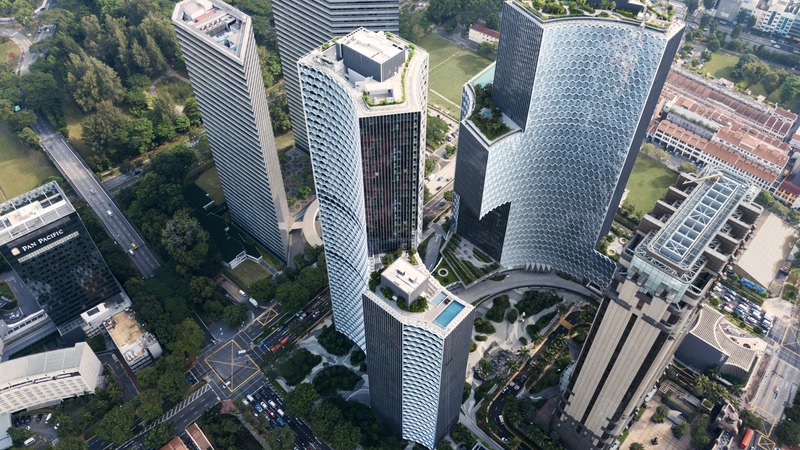 The prescribed zoning confronts the project with a dual dilemma: it splits the site into two separate pieces, and leaves large, bulky footprints for the resulting tower envelopes which risk overpowering the surroundings and the intimate scale of the adjacent historic Kampong Glam district. 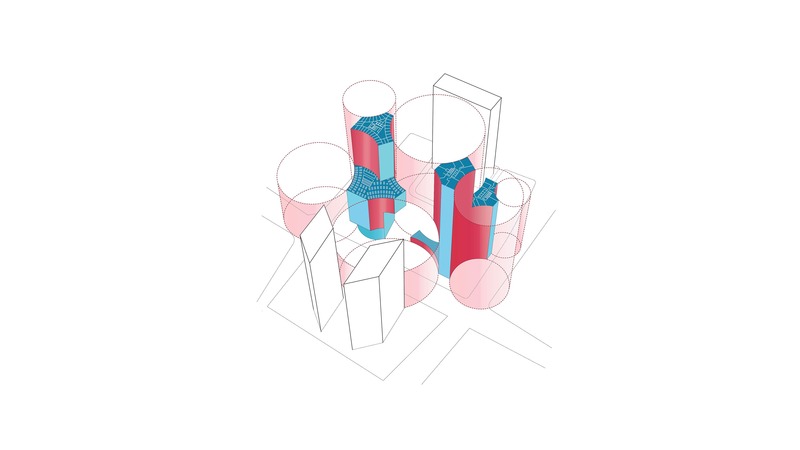 By generating the massing through a subtractive process, the elevations of the new towers are reduced to slender profiles. 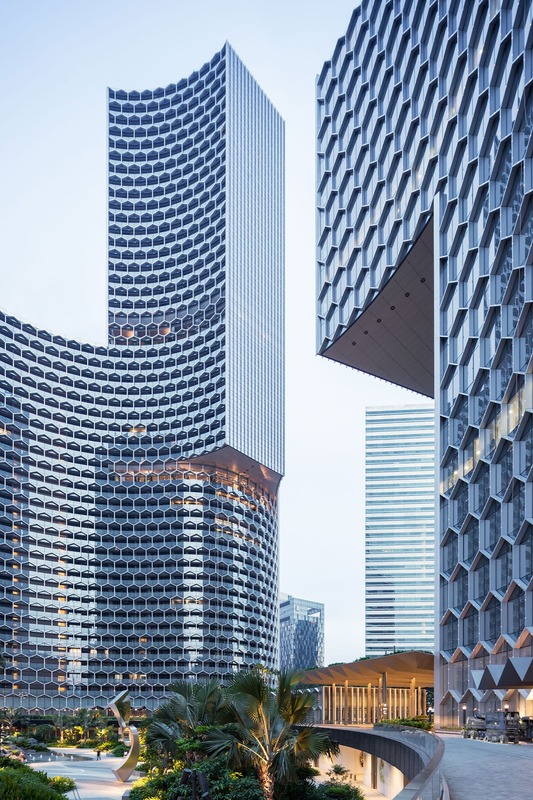 Vertical facades rise skywards along the adjoining roads, while a net-like hexagonal pattern of sunshades reinforces the dynamic concave shapes. 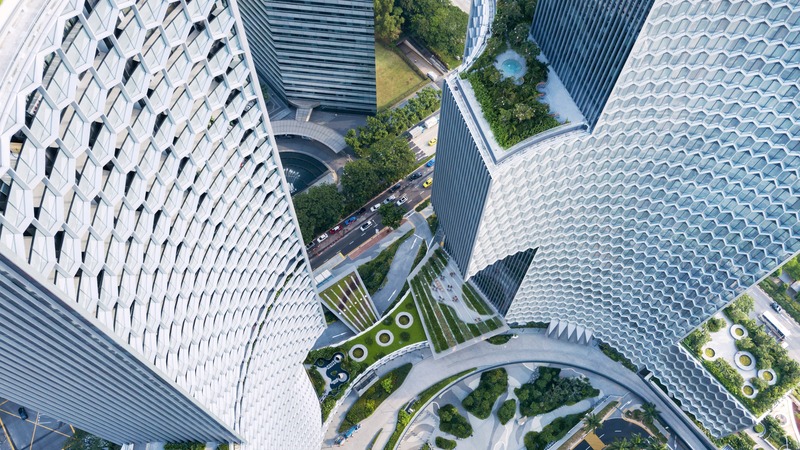 The duo of tower volumes is further sculpted to feature a series of cantilevers and setbacks that evoke choreographed kinetic movements of the building silhouettes. 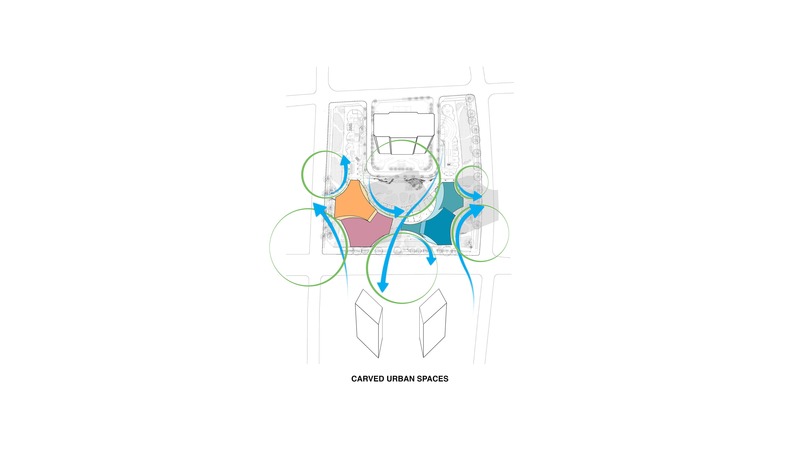 The buildings dematerialize as they reach the ground to provide a porous permeable landscape traversing the site. 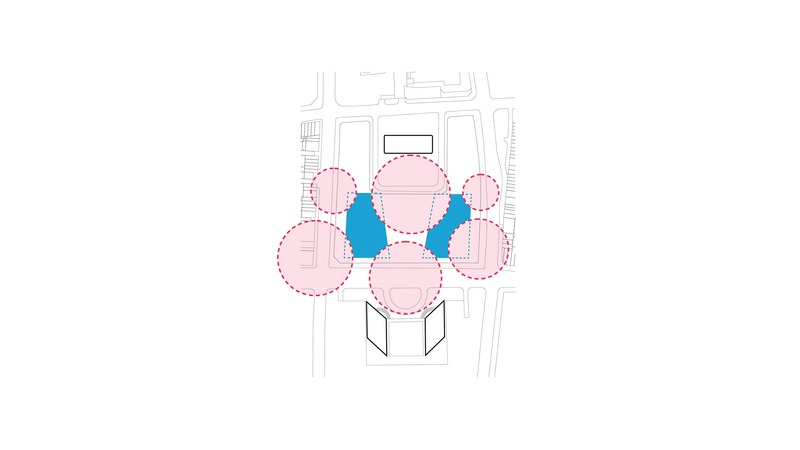 Leisure zones and gardens act as a connector between multiple transport hubs and establish a flow of tropical greenery and lively commercial activity, accessible to the public 24 hours a day. 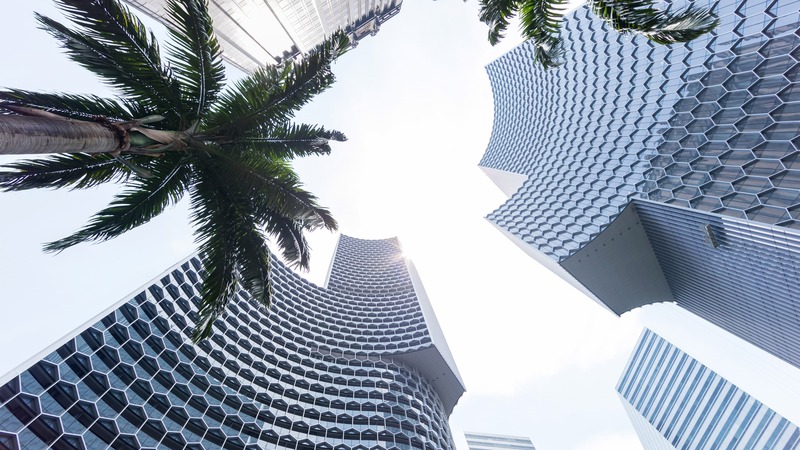 A plaza, carved into the center of the towers and integrating the neighboring building as part of its perimeter, forms a new public nexus between the historic district of Kampong Glam and the extension of the city’s commercial corridor. 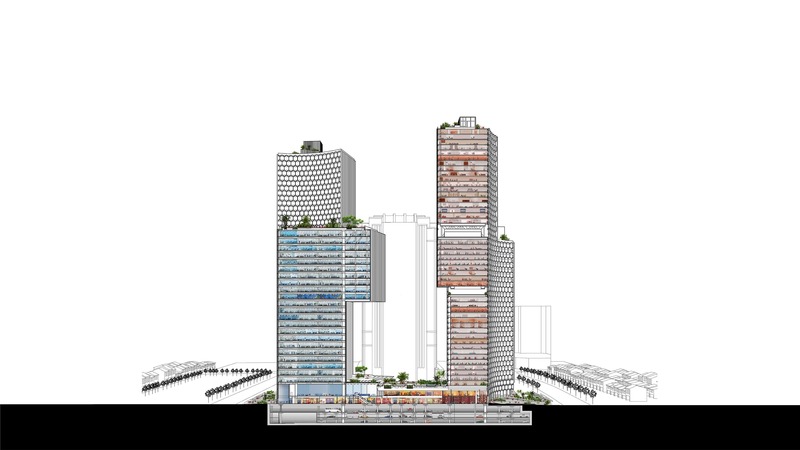 The development incorporates environmental strategies through passive and active energy efficient design and naturally ventilated spaces. 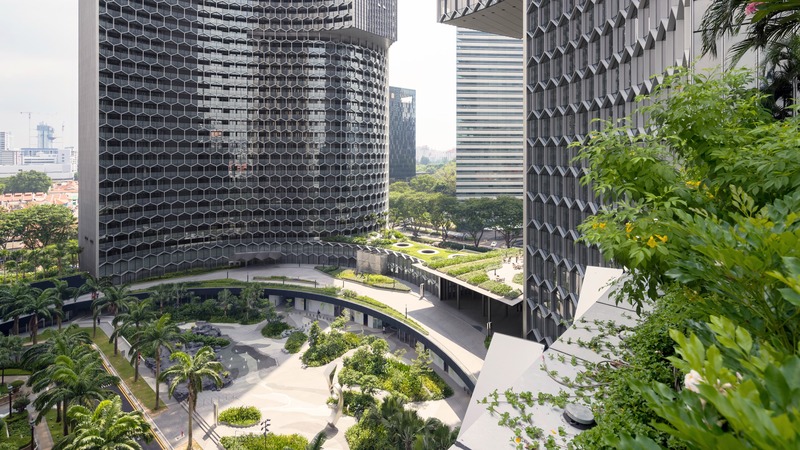 The building’s orientation is optimized to prevailing sun and wind angles, while the concave building massing captures and channels wind flows through and across the site, fostering cool microclimates within the shaded outdoor spaces. 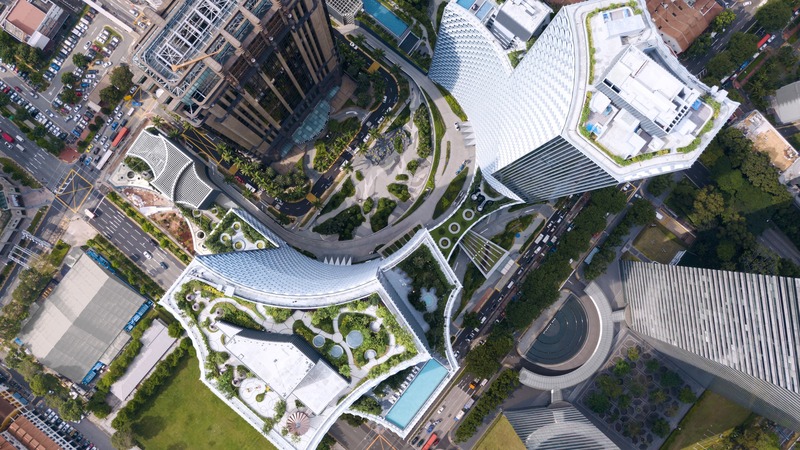 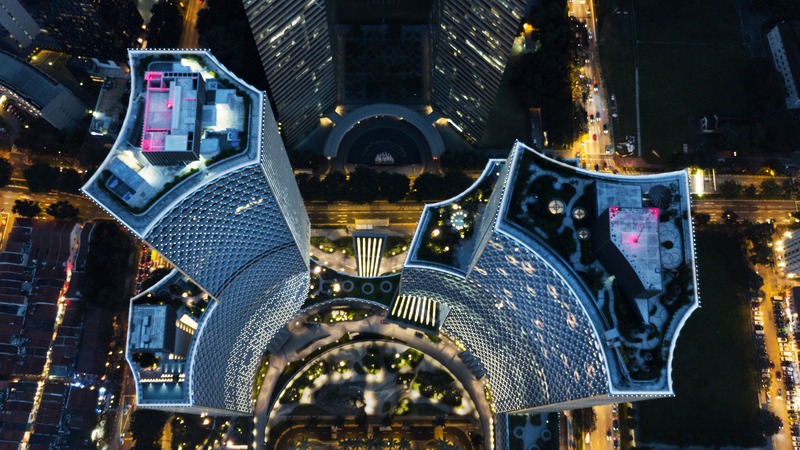 Embracing civic spaces in a symbiotic relationship with each other and thereby transforming the surrounding multivalent urban fabric, the two sculpted towers act as urban space generators.